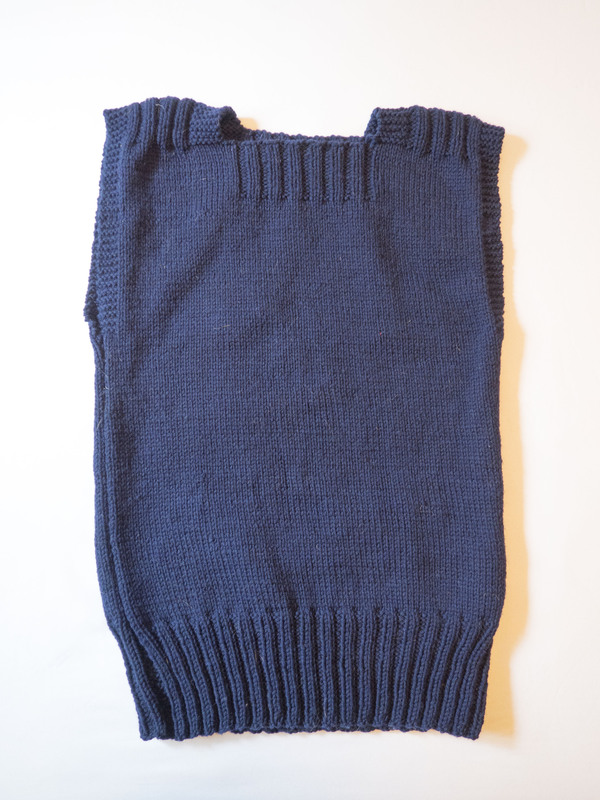 This is a Navy sweater knit by Rebecca Keyel in 2016 from a sweater pattern originally designed by the American Red Cross in the late 1930s. 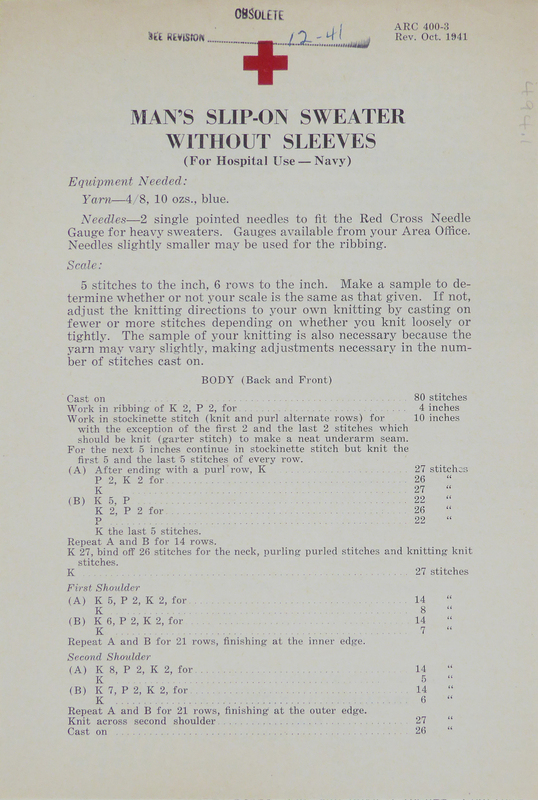 The pattern (designated ARC 400-3) appeared in a Red Cross pattern book issued by the Milwaukee Chapter of the American Red Cross in 1941, and was reprinted numerous times between 1939 and 1965. 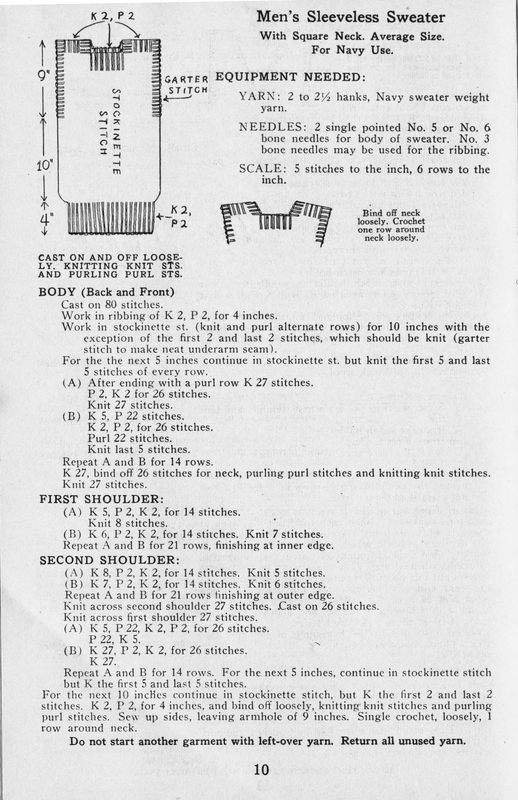 The garment is knit all in one piece and finished by sewing the sides of the garment to close. The contributor knit the sweater using worsted weight wool yarn (Quince and Co Lark) and US size 8 casein needles as part of a doctoral dissertation on women's volunteer knitting during the First and Second World War. 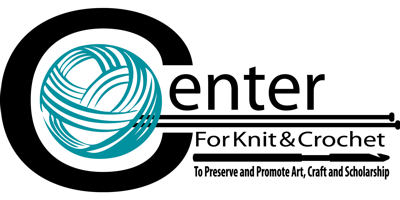 It is one of 13 other objects knit for the project.